Obviously he had to take a picture of it and send it to me. He said "The best part was, after I took the photo, the couple behind me tapped me on the back and offered me their laps!" 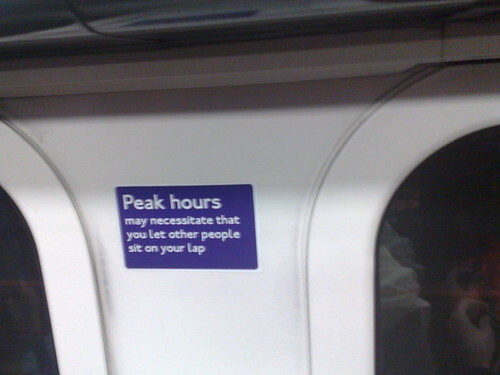 It's great how spoof stickers like this can make people lighten up on the Tube. Sometimes if the po faced "Do not do this" or "Priority Seating" stickers were a bit friendlier, it might not lead to nasty stares or moody arguments or worse if people were then reminded they were breaking Tube etiquette. It's simply having a bit of regard for your fellow passengers & a touch of humour can work to promote this. 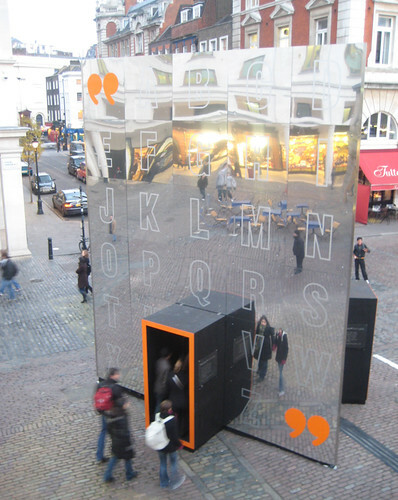 Whatleydude invited me and a number of other bloggers to Covent Garden to see the SpinVox Wishing Well which is on the piazza there, just a stone's throw away from the London Transport Museum. It's a lovely idea as you call a number and leave your wish. 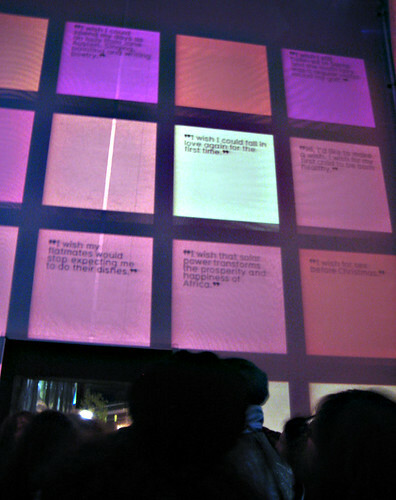 Your wish is converted to text and then gets projected onto the walls inside the wishing well. It's hard to describe being inside and seeing all the wishes from wishing for world peace to wishing your flatmates would do the washing up more often. 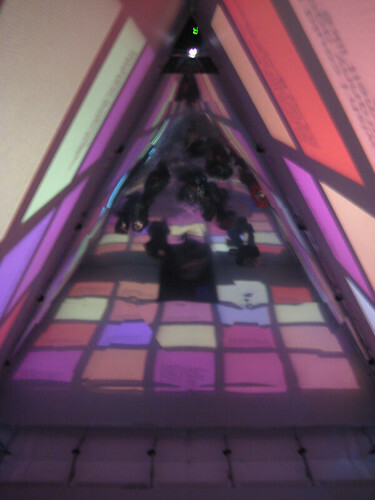 So it's definitely worth a trip yourself to see the colours, movement and sounds that go along with them inside the shiny triangular well. A number of school kids went along when I was there, all with their mobile phones, and all completely transfixed. I'm not sure what happens to the wishes at the end of installation and I'll certainly be popping in with a few more end of year wishes for the London Underground.